While you might have a trusty coat you wore when you were pregnant with your kiddo, there’s something to be said for splurging on something new – especially when it sports a genius design feature that’s made for brand new mums! 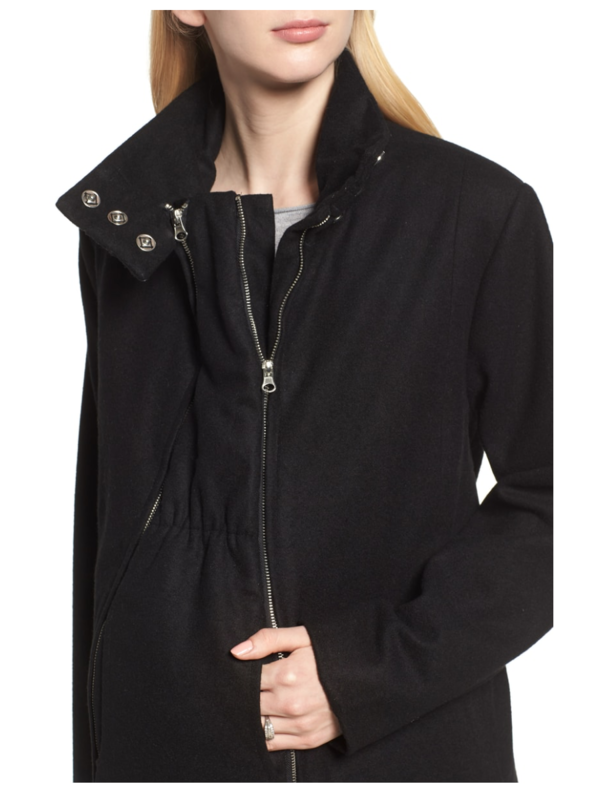 Nordstrom in the US is currently selling this brilliant coat – which ships to Australia – for $225 (PLUS shipping). 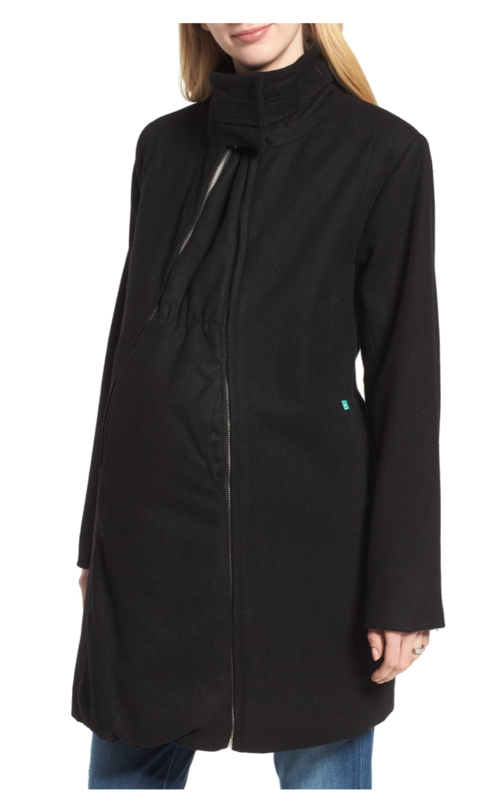 Modern Eternity’s Convertible 3-in-1 Maternity/Nursing Coat comes in two classic colour picks – black OR navy. Rather than looking like you pitched a tent over your pregnant or postpartum self, it’s engineered to actually fit and incorporates a clever twist. 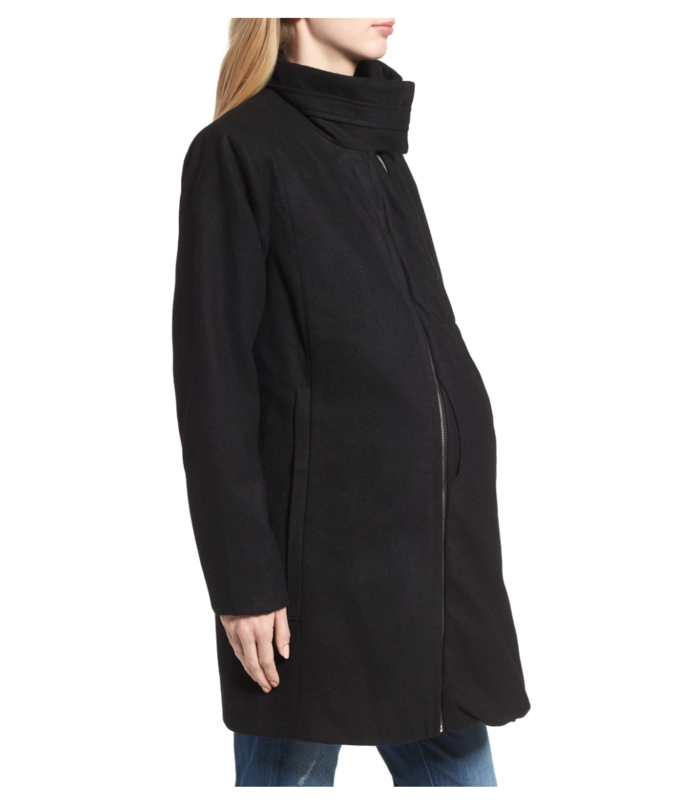 In a departure from the traditional A-line – seen in many maternity or mum choices – this coat has a longer line silhouette AND “an ingenious extender panel that you can zip in to accommodate your changing figure.” We told you it was fancy! Whether you’re accommodating a baby that’s still snuggled up in your belly or has already made an appearance, this coat has got you cosily covered.